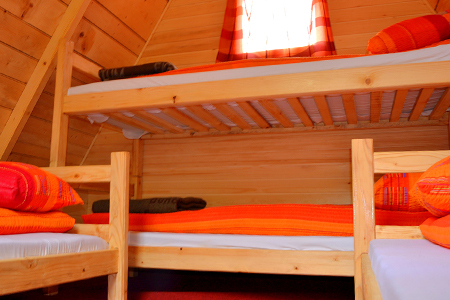 We offer accommodation of 70 bungalows built in alpine style, located in our rafting centre on the river bank in a unique natural environment! We are easily accessible by car and have parking spaces. Capacity of over 200 beds! 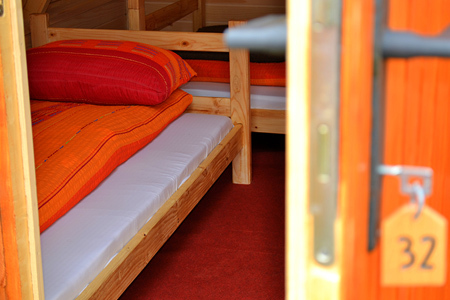 We are proud of our capacity of over 200 beds in double, triple and quadruple bungalows! Aromatic clean sheets, comfortable beds made of solid wood will only complement your stay in this unique area! 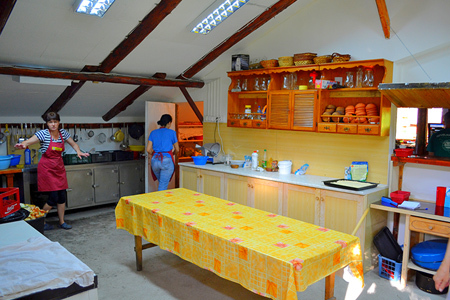 Direct contact with animals and nature, warm welcome, the taste of warm bread, local cheese and ham, the smell of wood in comfortable rooms built for your relaxation and pleasure is what you will remember us for! In addition to the best conditions and accommodation, without false modesty, we can focus on the prowess of organization and the best, carefully selected team! About 12 chefs prepare delicious traditional dishes from organic ingredients from the canyon and surrounding Tara! Our team consists of smiling and helpful waiters and the best instructors in the canyon of Tara, who care about the most important thing: Your safety! Our rafting instructors are licensed and each one of them has experience of hundreds of laps through the Tara, experience in other wild waters, as well as experience in competitive rafting tournaments! Our guides and drivers of jeeps are also skilled hunters and fishermen, who grew up in this area! This is why all our business success is based on the recommendations of our satisfied customers!